Welcome, and thank you for visiting our webpage. My name is Ron Acker and I have always had a passion for animals and the outdoors. My first memories of artistic abilities were centered around animals and the ability to draw them at an early age. 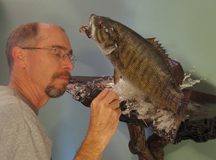 I began producing taxidermy mounts of fish, birds and deer for myself and my family in 2001. 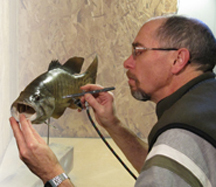 My desire, as a taxidermist/artist, is to use the talent that God has blessed me with to produce the best representation of His creation, and recreate your trophy… so the memories can be cherished for years. Here are my entries for the 2016 MTA Competition. 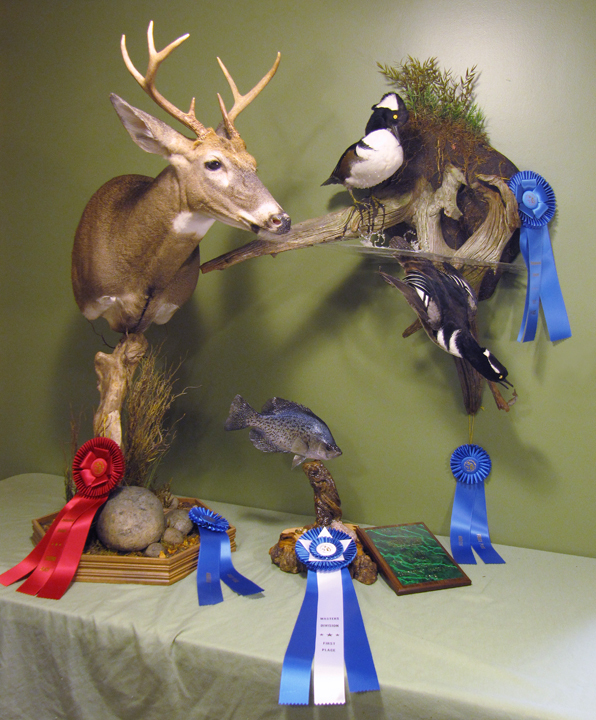 Whitetail Deer Shoulder Mount, Hooded Mergansers and a Crappie reproduction. The Crappie reproduction received a Blue ribbon in the Masters Division, Best of Catagory, Best of State and the StarFish Award for best reproduction. The Hooded Mergansers received a Blue ribbon in the Professional Division and Best of Catagory in Waterfowl Group. The Whitetail Habitat and the Merganser Habitat both received Blue ribbons.